Imagine being a 82 woman with a busy career and travel schedule. Now imagine that same woman telling you when you ask what she does for a living says she is a fashion and runway model. 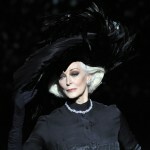 While many a senior citizen is walking with a cane, the agelessly elegant Dell’Orefice continues to strut the runway in her signature white-haired glory, appearing for John Galliano in 2000, Hermès in 2004, and Alberta Ferretti in 2011. 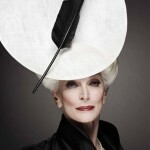 There is something about Carmen Dell’Orefice that makes you feel beautiful just by looking at her. 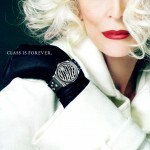 This is style, sophistication and glamour in it’s purist form. The model has actually worked more within the last 15 years years than she ever has in her modeling career which has been tremendous. 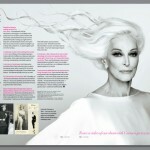 Carmen Dell’Orefice landed her first Vogue cover at age 15, and her latest cover, at age 82, is unlikely to be her last. 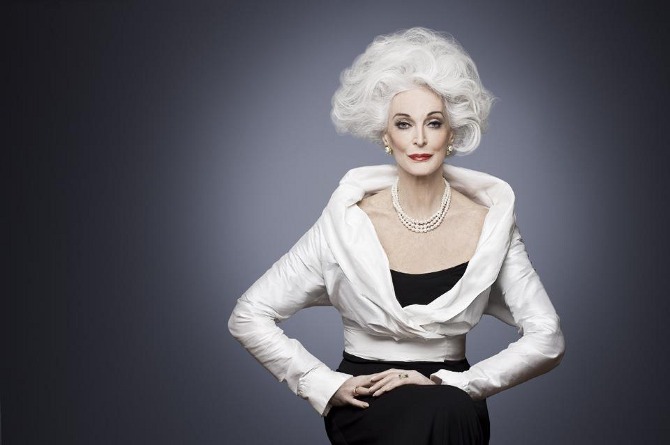 The world’s “oldest working model” has kicked off her 80s with a running start and shows no signs of slowing down — even after a double-knee-replacement surgery earlier this year. Carmen’s parents were Italian and Hungarian. They had an unstable relationship characterized by frequent breaks and reconciliations. Carmen lived in foster homes or with other relatives during her parent’s clashes. In 1942, Carmen and her mother moved to New York City. At the age of 13, while riding a bus to ballet class, she was approached to model by the wife of photographer Herman Landschoff. 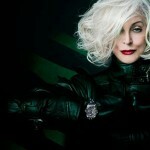 Her test photos, taken at Jones Beach, were a “flop” according to Carmen. 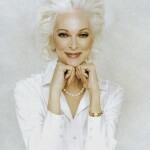 In 1946, her godfather introduced her to Vogue and 15-year old Carmen signed a modeling contract for $7.50 an hour. 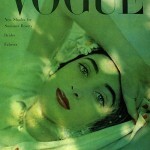 She became a favorite model of photographer Erwin Blumenfeld who shot her first Vogue cover in 1947. She appears in the December 15, 1947 issue of US Vogue as Little Red Riding Hood, Snow White and Cinderella along with model Dorian Leigh, actors Ray Bolger and Jose Ferrer. Carmen and her mother were poor, and her modeling income was not enough to sustain the family. With no telephone, Vogue had to send runners to their apartment to let Carmen know about modeling jobs. She roller-skated to assignments to save on bus fares. Carmen was so malnourished that famed fashion photographers Horst P. Horst and Cecil Beaton had to pin back dresses and stuff the curves with tissue. Carmen and her mother were accomplished seamstresses and made extra money making clothes. One of their customers was Dorian Leigh. 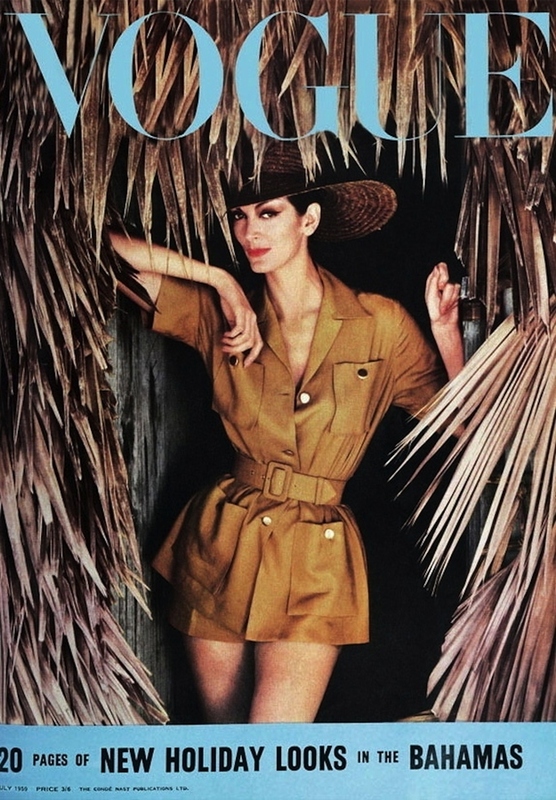 Carmen later became best friends with Dorian’s younger sister, model Suzy Parker. Together they were bridesmaids at Dorian’s second wedding to Roger Mehle in 1948. In 1947, Carmen’s rate was raised to $10–$25 per hour. 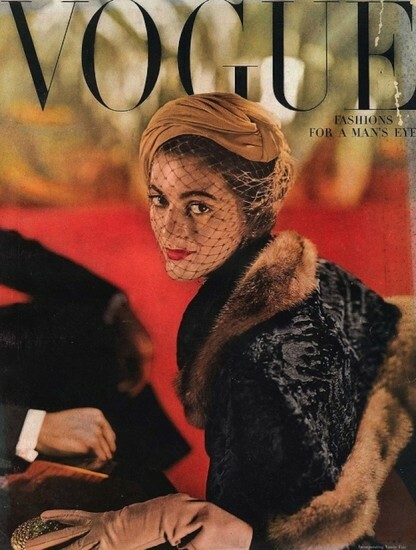 She appeared on the October 1947 cover of Vogue, at age 16, one of the youngest Vogue cover models, (along with Niki Taylor, Brooke Shields, and Monika Schnarre). Carmen was also on the November 1948 cover of Vogue. 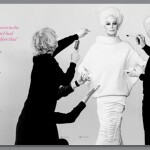 She worked with the most famous fashion photographers of the era including Irving Penn, Gleb Derujinsky, Francesco Scavullo, Norman Parkinson, and Richard Avedon. 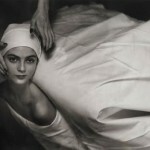 Carmen was photographed by Melvin Sokolsky for Harper’s Bazaar in 1960. The iconic image titled Carmen Las Meninas has been collected internationally. Sokolsky also photographed her for the classic Vanity Fair lingerie campaign in which Carmen obscures her face with her hand. She was painter Salvador Dalí’s muse. Despite her early successes, modeling agent Eileen Ford declined to represent her and Vogue lost interest in her. Her thin frame required medical attention: doctors prescribed shots to start puberty, and her new curves brought her work in catalogs modeling lingerie at $300 per hour. 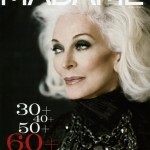 She joined the Ford Modelling Agency in 1953.